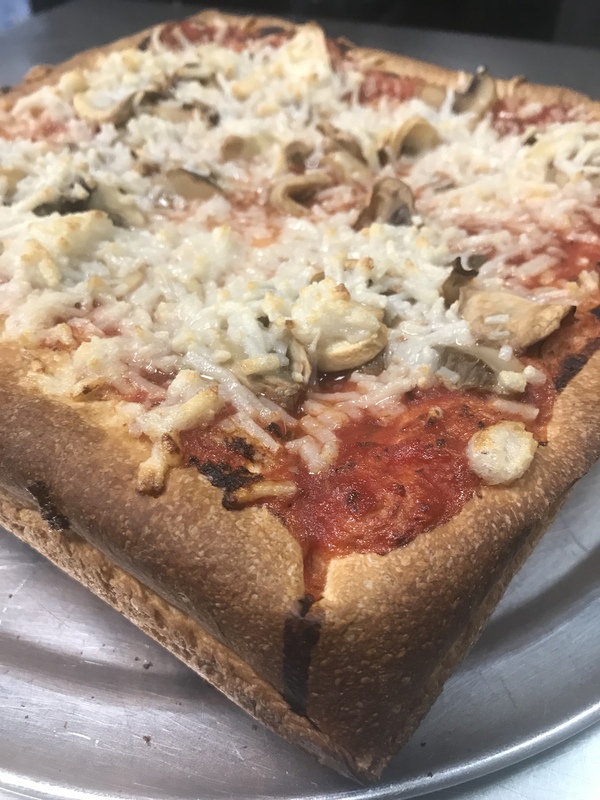 Whether you’re a traditional pizza-eater, or a vegan, you need to try our homemade Sicilian pizza. While other pizzerias have moved to pre-made crusts, we make and proof our thick Sicilian crusts as we’ve done since 1979. Light and fluffy, and full of Italian taste, you have no idea what you’ve been missing until you taste one. It's Wednesday 12:47 PM — BOOYAH...We're open!